Me and Koji currently live in Istanbul – she’s studying in a univeristy here – and since most of the guests for our wedding live in Bulgaria and some live in USA, sending-out invitation cards via the postal services would be somewhat inefficient and slow. 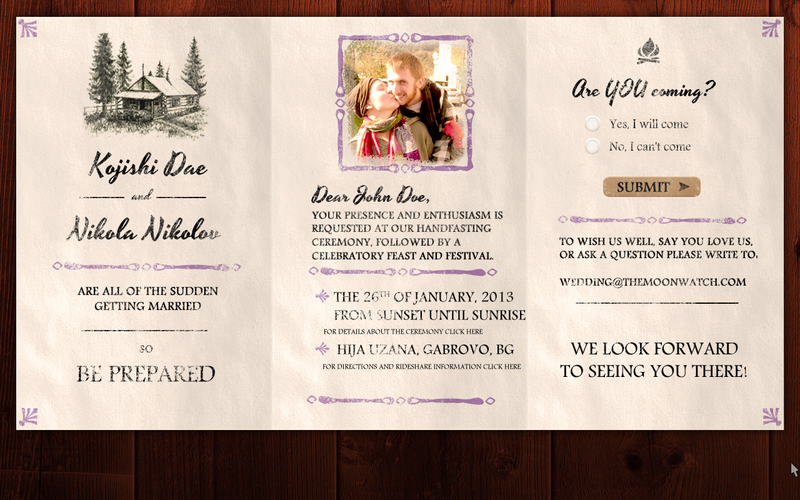 So we decided to make web-based invitations. We looked for an already working solution, but we couldn’t find anything that we liked. Since I’m more-or-less a computer(well mostly WordPress) geek, I decided that we can make a WordPress-based website that would serve as guests and invitations management application. So then came the design part. Honestly I’m not good at designing a complete product(well I’ve never tried to make a complete design of something, but I’m pretty sure it won’t turn out really good). So we thought about designers that we know and luckily Koji has a friend that makes designs. She was also one of the first people to know that we’re officially getting married. So we asked her if she’d like to design our wedding invitations. She agreed and we sent her a couple of examples of things that we both like with some ideas that we have. A week or so later(she’s been working on the invitation in her spare time, so that was pretty fast and we really appreciate that! ) she sent us the ready design. Once we got it – we just had no words, because it was really really beautiful and we just fell in love with it right away. 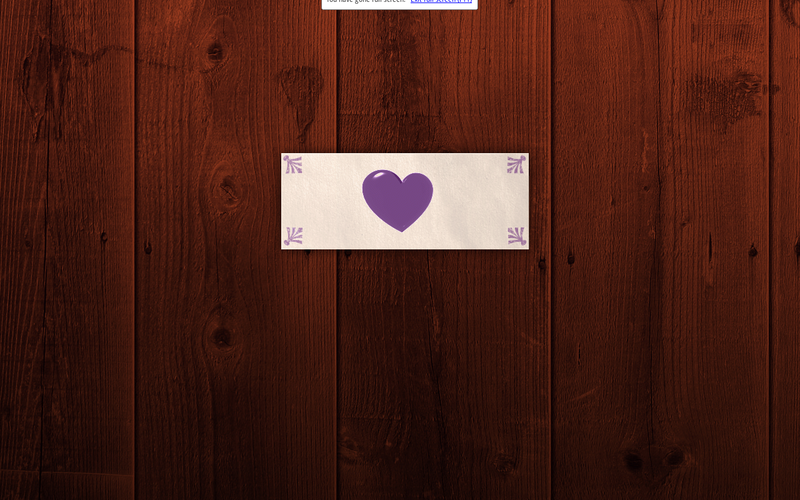 After I’ve done the main stuff, I took care of a couple of some small details – for instance I added a loading animation that would stay there until the whole page is loaded and then fade-out and the invitation would fade-in. I also made the response form submit with AJAX, showing a nice message once it’s submitted. Now since I’m using pretty permalinks, it’s not super hard to guess a guest’s name and see their invitation(therefore response) on their behalf. To battle that, I added a ?n=longstringofseeminglyranomcharacters where longstringofseeminglyranomcharacters is a unique string for each invitation – it’s generated by a long complicated nonce, combined with the post ID of the invitation, which is then hashed using a PHP algorithm. Basically it’s nearly impossible to guess that nonce – it’s more likely that my server will go down because of the too-excessive use of resources than anyone brute-forcing through that. Basically what happens when an invitation is about to be displayed is that the script checks the n parameter and compares it with the correct one for this invitation. If it’s missing or it’s not correct – the user gets redirected either to the home page, or to an error page(if it’s defined in the site settings) and doesn’t get to see the invitation. Besides the initial idea, this allows to do one more thing – if I change the nonce(which is not visible anywhere on the site and you need to access the code to be able to see it), all of the invitation links will become invalid – that’s useful if you want to have an exact time until invitation responses should be collected. I’ve never thought that I’d get to the point of getting married so early in my life. I’m the first one of my school friends to get married(well unless someone gets married in the next 2 months ). It’s just a bit strange perhaps, but I’m fine with that – actually I’ve always considered myself more mature in my perception of the world and values than most of my peers(that’s what Google Translate says how people the same age as me are called), so committing to a long-term relationship doesn’t seem that odd. But the fact is, that I do love her and find her so amazing, great, caring and just perfect that I’m just sure that I want to spend my life with her Besides she’s not into settling-up in one place yet(which I’m perfectly fine with, since I do want to explore the world), so if we are married it will be a whole lot easier to travel and stay in different places together. Koji is older than me(by a fair amount of years) – some might find that weird, strange, some might not care about that, since they believe in pure and honest love and don’t find age to be an important factor. I don’t really care – I mean it’s everyone’s right to have their own opinion and I’m fine with that. 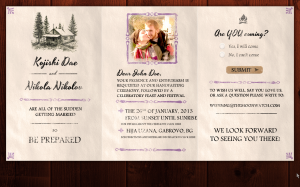 Any way, the plan for the wedding is great – Koji figured-out a great ceremony with lots of symbolism in it – we’ll do a Hand-fasting ceremony and everyone of the guests will take part of it, by lighting a candle from a torch that has been lit from the first two candles(ours). 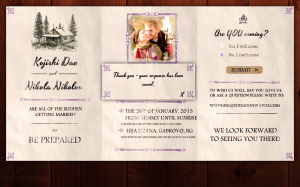 I really really love the idea of the ceremony and the wedding in general – it will be in a hut in the central Balkan, close to Gabrovo. This is the place where we most-likely met for the first time(it would be around two years before the wedding), even though we didn’t seem to remember much of it About half of the guests will be scouts and the wedding will have more-or-less scout spirit(since both of us find scouting important for our lives).